Highly popular and requested mid-sized 4 wheel drive mobile command custom built on a Ford F-550 6.0L Power Stroke® V8 Turbo diesel engine with the TorqShift™ automatic transmission. Options include a 6.8L Triton™ V10 engine with 6-speed manual overdrive transmission or a 6.0L Power Stroke® V8 Turbo Diesel engine with 6-speed manual overdrive transmission or with electronic 5-speed automatic transmission. The Aqua-Hot Heating System provide a continuous on-demand supply of domestic hot water, 3-zone interior hydronic heating (heating with hot water) and engine preheating. 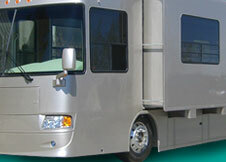 The Aqua-Hot is typically found on the mobile units where bay storage is larger. 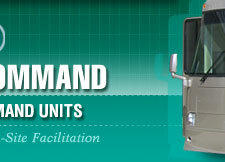 It contains a 50,000 BTU diesel-burner and 1650 watt 120 volt AC electric heating element. 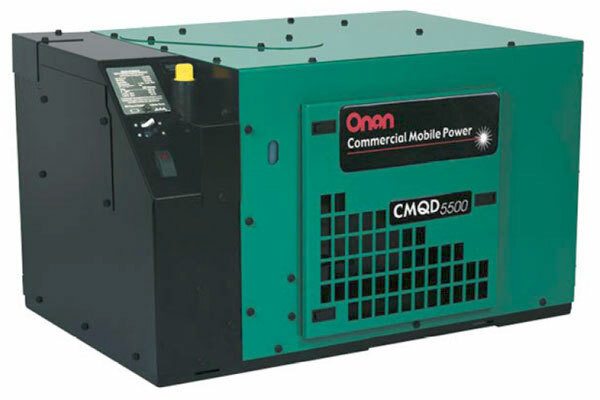 It burns diesel and is available in 12 and 24 volt DC voltage systems. The fuel consumption averages 1 to 4 gallons per day. PDF Specs. 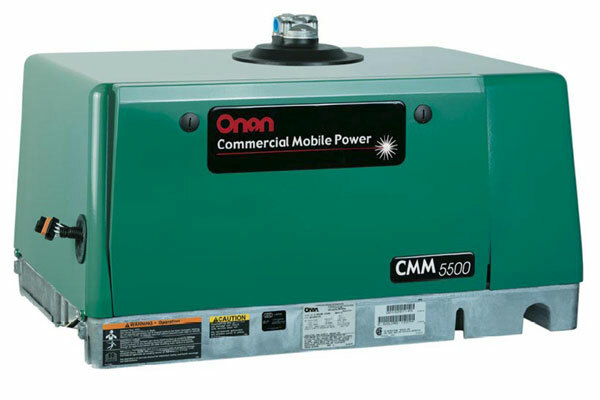 The Gasoline powered Onan CMM 5500 operates at 120 or 240-volt. Operate up to 2 air conditioners, flush-mount stove top, instant hot water without tank and more. The advanced digital control provides extensive diagnostic capabilities by constantly monitoring the genset's operation and alerting the user to potential problems. Digital regulation allows voltage stability as loads change. 67db noise level with the sound-attenuated housing. 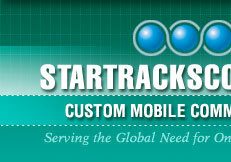 CLICK HERE to review specifications.